A special donation has been made to TJU that will help the school become the first medical cannabis research center in the United States. A special donation has been made to Thomas Jefferson University that will help the school become the first medical cannabis research center in the United States. With the new funding, TJU will be able to elevate and expand on the known conditions helped my medical cannabis, as well as study the long-term effects cannabis use can have on a patient. The exciting new comes at a time when more than half the country has legalized medical cannabis. Australian philanthropists Barry and Joy Lambert made a gracious donation of $3 million dollars to the Philadelphia-based medical college, Thomas Jefferson University. The private school enrolls nearly 2,000 students, who focus on the main areas of health sciences, including biomedical science, nursing, pharmacy and population health. The Lamberts have become invested, not just financially, but personally, in the area of medical cannabis after their young granddaughter, Katelyn, was diagnosed with Dravets syndrome. The rare form of epilepsy affects the electrical components of the brain and can lead to severe and frequent seizures. Katelyn was treated with a hemp-based medical cannabis that offered her relief. In addition to their donation to TJU, in 2015, the Lamberts donated $33.7 million to cannabis research at the University of Sydney in Australia. They’re positive the medical treatment has the power to save lives if only given the chance to be studied. We have directly experienced the miraculous life-saving benefits of medicinal cannabis-derived from hemp. We are confident that working under modern U.S. regulations, TJU and its innovative, scientific approach will prove to the medical profession the benefits and safety of medicinal cannabis for a broad range of illnesses, not just childhood epilepsy. 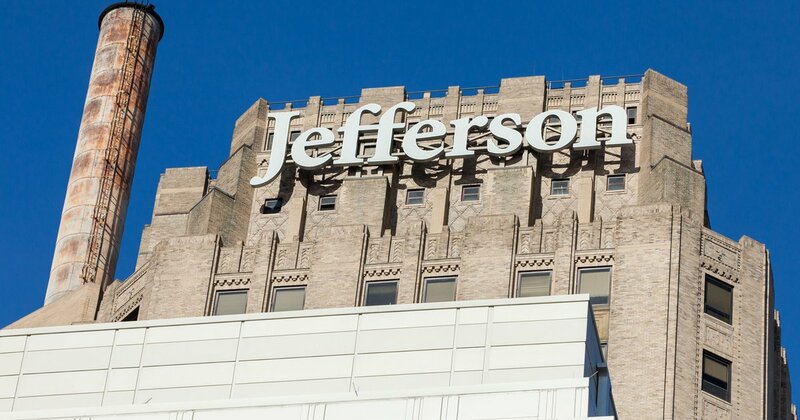 Thomas Jefferson University used the donation to open a new research center, The Lambert Center for the Study of Medicinal Cannabis and Hemp. Charles Pollack Jr., director of the university’s Institute of Emerging Health Professions, says the Lambert’s donation will do wonderful things for the future of medical cannabis. We are extremely grateful to the Lamberts for the bold and visionary gift, which will have an immediate impact on our research and education efforts. The first medical cannabis research facility in the United States will focus on expanding the known information about the therapeutic properties of medical cannabis and what conditions it can best treat. Cannabinoids will also be closely researched. Compounds like CBD will be studied to hopefully determine exactly how they are able to work so effectively. The new Lambert Center hopes to accomplish many goals, some of which include providing expert and unbiased information on the use of medical cannabis, hemp and cannabinoid extracts. This information would be of great use to medical professionals, as well as patients. TJU also hopes to elevate existing research on cannabinoid-based treatments. In addition to the medical research, the university hopes to provide information that can help expand the entrepreneurial and socially responsible of developing medical cannabis businesses. The more information made available to these new companies, the better equipped they’ll be to treat their customers and patients with the correct forms of cannabis.